At the start, it was not clear that what kind of smartphone we are going meet but Xiaomi Note 5A Prime is pretty amazing gadget with lots of new and attractive features. Design department got some improvements and now we are going to watch new Xiaomi’s Redmi Note 5A Prime with a totally new face. 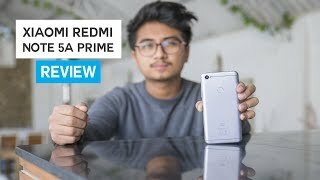 This is not the end of the story and there is a lot more on its way that what else is there for you in the upcoming Redmi Note 5A Prime by Xiaomi. On top of the list, 5.5 inch IPS display is installed which is equipped with full HD display. Resolution of the display is 720 x 1280 while pixel density of Xiaomi Redmi’s Note 5A Prime is 401 pixel per inch. Now enjoy the movies and videos in the sharp and colorful display because the parameters used inside are just perfect and according to trend. Xiaomi Redmi Note’s MI user interface 9.0 is used for a topping of the latest Android OS v7.0 Nougat.